Check out this cool graphic made by Jenny Shaver, PM @ AMEX. It displays the steps and the product lifecycle in an effective way. 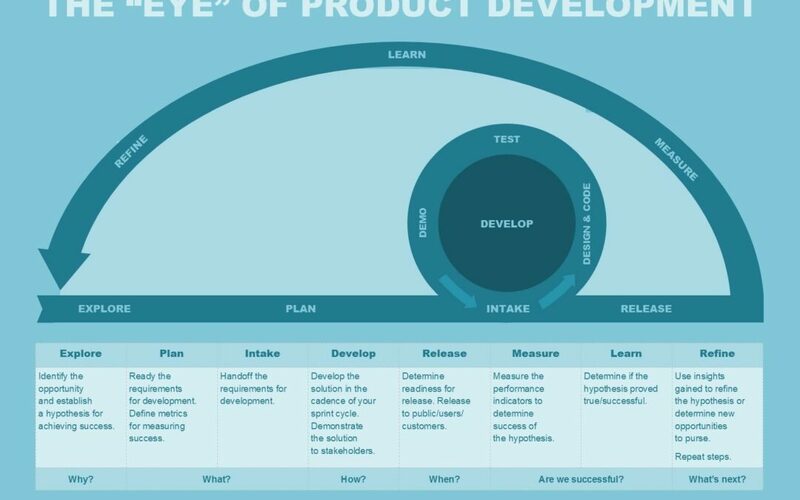 I’ve used this to show businesses why they fail at planning and executing projects. The way project management should be done. 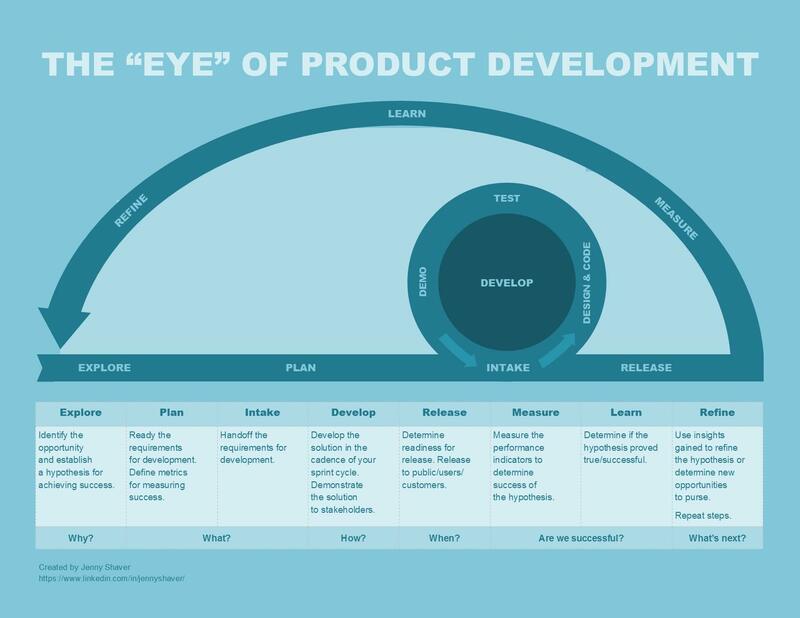 Follow the “Eye” of product development.